Clasps for jewelry making. 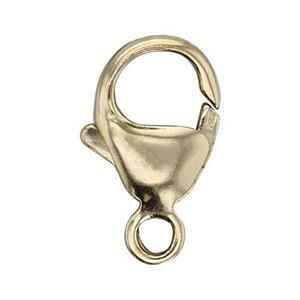 Finish your chains or beading with quality clasps from Halstead. Jewelry hooks are great clasps for making necklaces. Easy on and off! 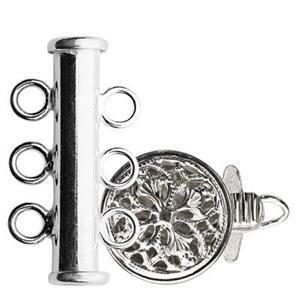 Lobster claw jewelry clasps are on of our most popular findings. Shop now! 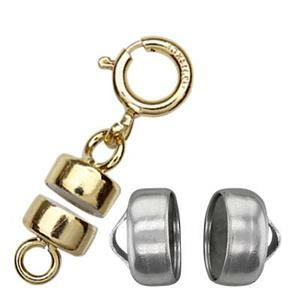 Magnetic jewelry clasps for finishing chain and beading. Wholesale jewelry supplies. 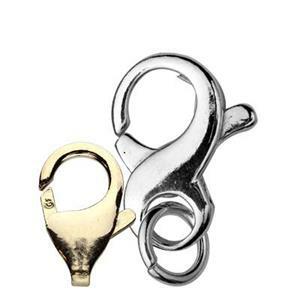 Spring ring jewelry clasps for finishing chains or necklaces. See our great wholesale pricing! Toggle clasps for jewelry making and beading. Bigger, bolder and more luxurious. 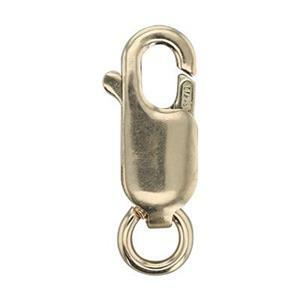 Shop for high quality, secure jewelry clasps including lobster claws, spring rings, toggles, magnetic clasps, shorteners, hook & eye clasps and safety clasps. Fancy fasteners can add appeal to your custom necklace or bracelet designs. It is a large selection so you may want to use filters or sort by material or price for easier navigation. These findings are used to finish jewelry chains and beading work. 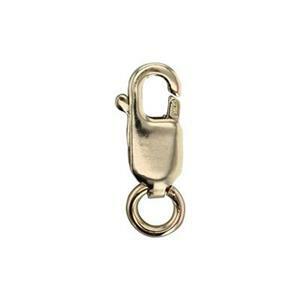 Note that lobster claws and spring rings contain internal springs made of stainless steel for durability. If you are new to jewelry making, please read our quick reference article Glossary of Jewelry Clasps and Closures. These indispensable components may be called hardware; but, in the field, they are more commonly grouped under jewelry findings. When selecting a jewelry clasps or closures for a design, keep in mind the weight of the piece and the dexterity of your audience. Spring ring clasps are affordable, but they are difficult to use for larger accessories or clients with less nimble fingers. Lobster claws are easier to operate behind the neck and add perceived value to your creation. Toggles and magnetic clasps are easier still and often prefered by consumers. 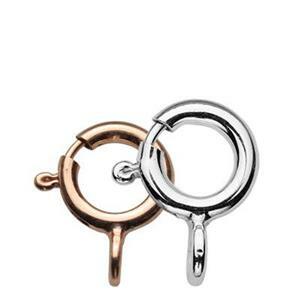 However, both require the right balance of tension on the clasp and weight on the jewelry item. Weight is an important consideration because many lightweight necklaces with heavy clasps will spin around the neck so that the clasp ends up dangling as a pendant. Think about how to balance the elements of your design so the piece will lay on the body as you intend. To attach a jewelry clasp, select compatible jump rings to connect it to chain, beading or metalwork. We recommend soldering jump rings closed whenever possible for durable, secure connections. 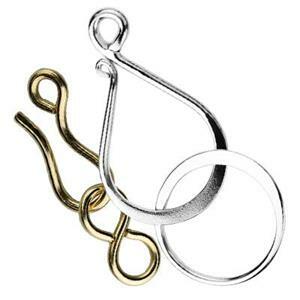 Use chain nose pliers to assemble your finished creation with the closure you choose. Read our tutorial on how to finish jewelry chains.